This Dower and Hall heart shaped sterling silver locket is set with stunning sparkling white sapphires. 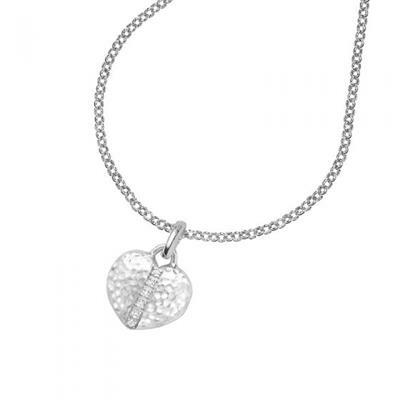 The locket has Dower and Hall's signature hammered texture and lobster clasp. Complete this locket with a sentimental photo for your own personalised touch.